Xbox One and TV: What’s The Point? The Xbox One will have TV integration. What’s the point? 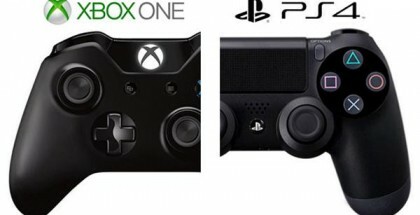 Today, Microsoft announced the last of the three next-gen consoles with their big Xbox One unveiling. The event’s left me with mixed feelings, and information that has surfaced since the conference finished has made me even more worried. Microsoft made a massive deal about TV features at the announcement, talking about how the Xbox One will provide an all-in-one home entertainment system. However, they were very misleading in some of their presentation. For a start, the Xbox One won’t be able to act as a DVR for your cable box, and as Nilay Patel points out in his post for The Verge, the channel changing features won’t be quite as great on many cable boxes. So all you’ll be able to do is watch Live TV in a fairly limited way. Sure, you’ll get great recommendations, and the guide is nice looking…but it’s nothing revolutionary. Worse still is the fact that at launch, all the TV features are US exclusive. This is a huge deal. Xbox has a massive market outside of the United States, particularly in the UK and Europe, and holding back features is the equivalent of shoving a big middle finger in customers’ faces. The Xbox One presentation was mostly comprised of features that aren’t going to be available to me for months after launch, if not longer. Even when those features do come, it’s unclear how well they’ll work with Sky, Virgin and BT in the UK, let alone Freeview. Will I be able to access my Sky Planner and recorded shows from my Xbox? Sky’s recording features aren’t technically those of a DVR, so perhaps it will work. More likely is that it won’t. In which case we’ll be stuck watching Live TV: something which I don’t do all that often nowadays. No one does, to be honest. Which brings me on to my next complaint. Microsoft were really unclear about the on demand features of the Xbox One. If I see a TV show that’s now available on BBC iPlayer, would I be able to instantly launch it (much like YouView)? Or is that not going to work? Will recommendations incorporate Netflix and Hulu? After Microsoft’s announcement, I’m finding myself with more questions than answers. Which is why I’m now wondering what the point is. It’s going to overlay a fancy menu for US folk. It’s going to do nothing at all for those outside the US. And so far we haven’t seen any groundbreaking games. Right now, I’m seeing absolutely no reason to buy an Xbox One. Microsoft really need to change that. 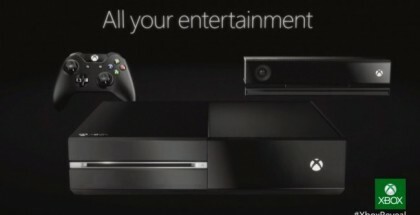 Seeing how this is about the console and E3 is about the games… I’m not sure what your complaint is. My complaint isn’t that they didn’t show any games. It’s that the non-gaming features are pointless.